The best part about being a wedding vendor is getting to be a part of your friends love stories. 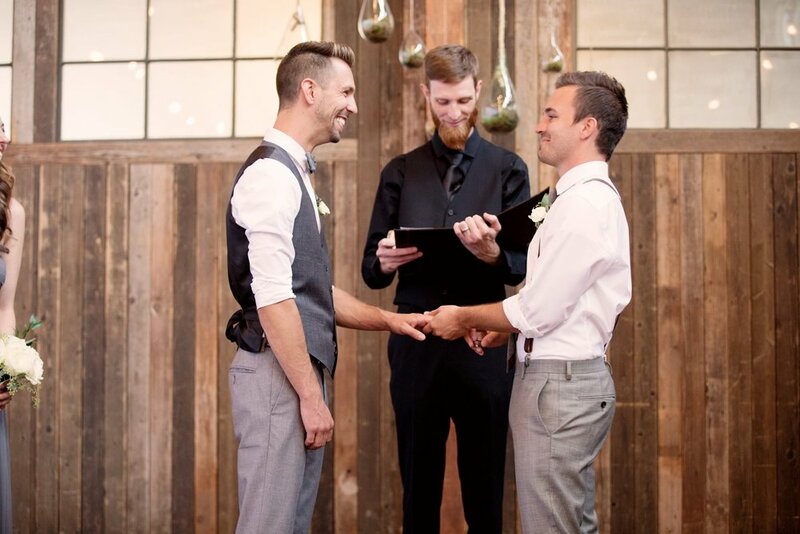 Conner and Zach married last August at the beautiful Sodo Park in Seattle, Washington surrounded with love from friends and family. 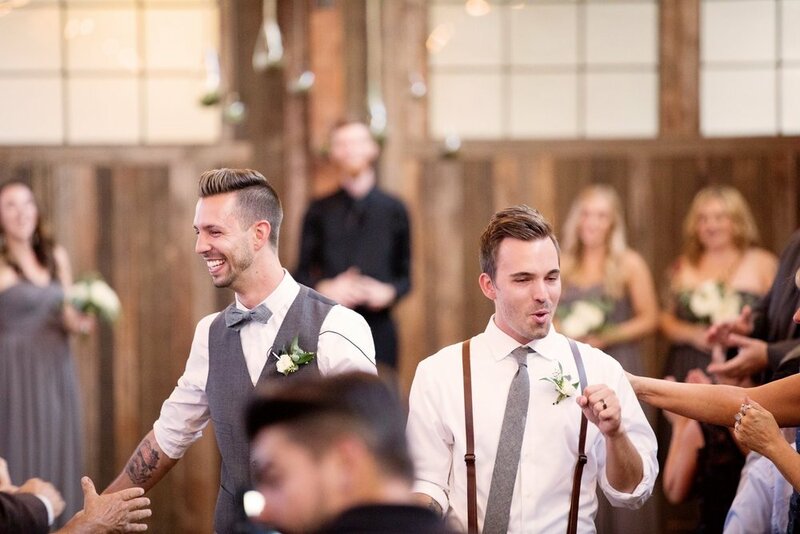 The beautiful downtown Seattle venue was the perfect combination of rustic and modern fusion for this union. It was such an honor to create stationery for these two. They are so loving and giving to friends and family that it was important that I create the perfect invitation suite for them. But let's not get ahead of ourselves...what's a wedding without a wedding party?! 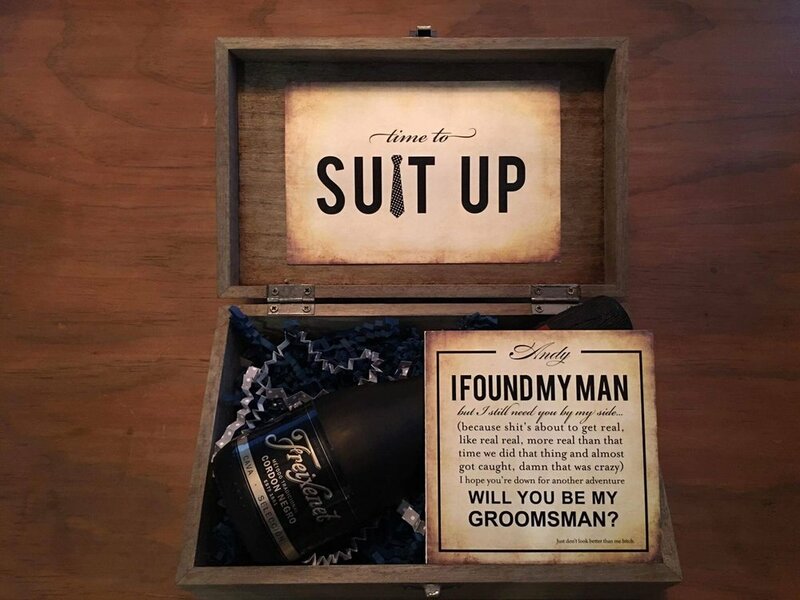 Conner and Zach asked their friends and family to be a part of their day with custom boxes filled with champagne and custom cards. 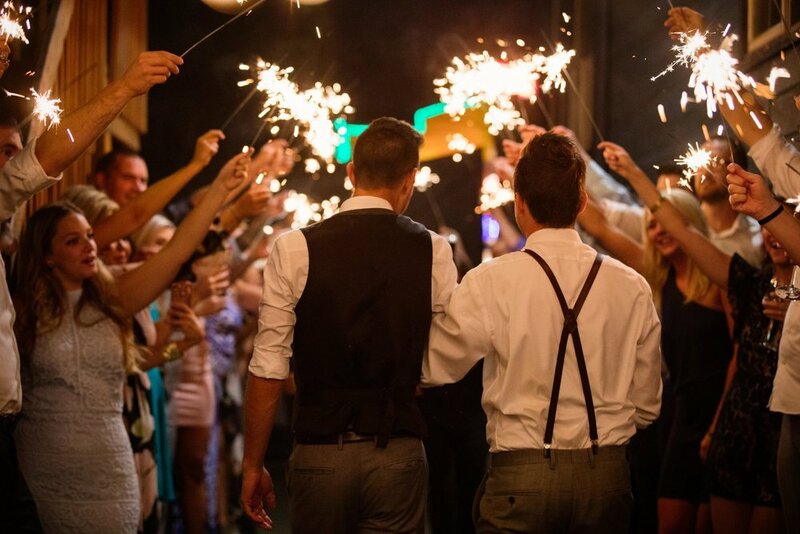 Such a thoughtful and creative idea from these grooms. 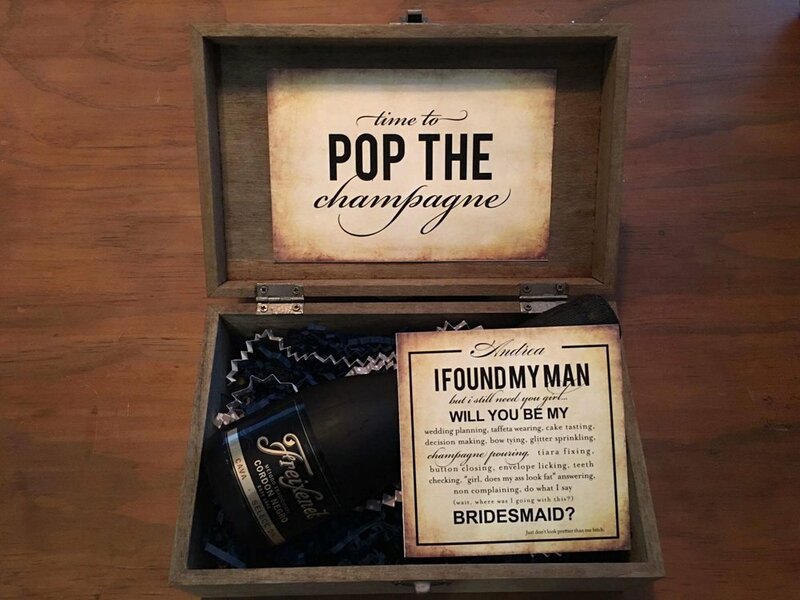 The next piece created were Save the Date cards. They wanted something to represent their rustic venue but also with a modern flair. These graphic wood printed cards incorporated clean, classic fonts and a custom monogram. 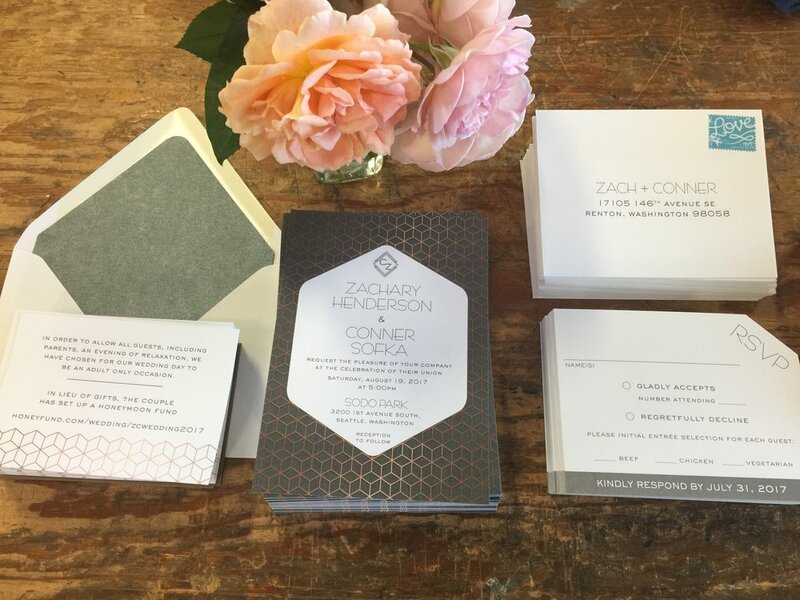 Conner and Zach's invitation suite ended up being a combination of their love for mid century modern and the venue's historic downtown vibe. The outcome was strong geometric shapes in gray and copper color with their custom monogram making another appearance. 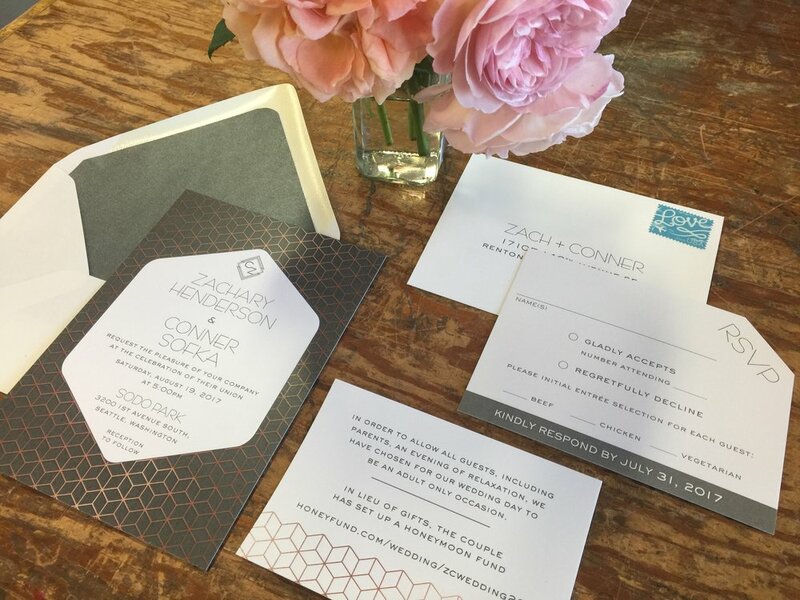 I love the rsvp card that has the top right corner clipped - another twist to a classic design. I was unable to go and enjoy the wedding but I'm so in love with the wonderful pictures captured by Tyler, owner of Chaser of the Light. 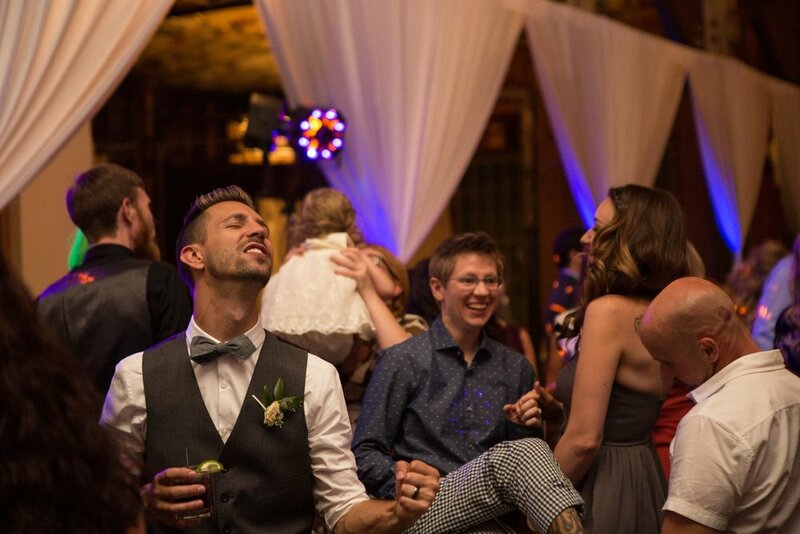 They capture all the love and pure joy of this beautiful wedding. 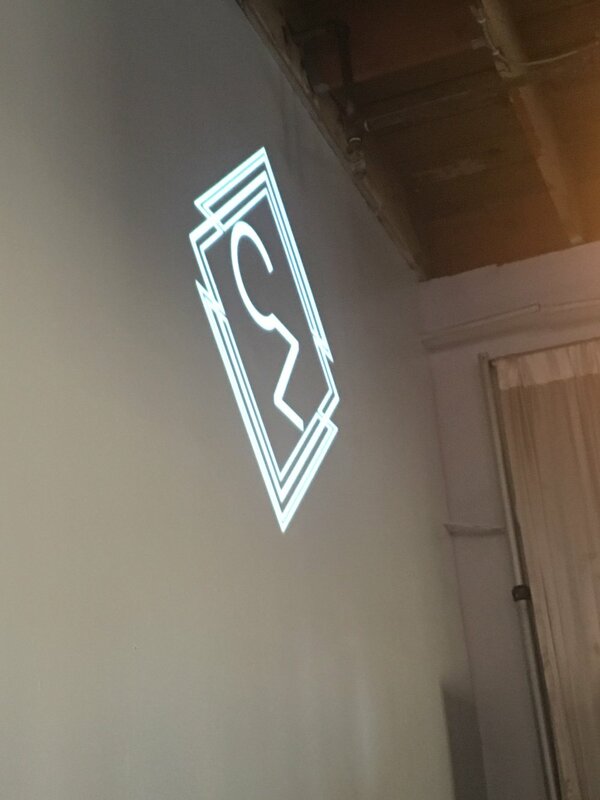 I surprised the guys with a little gift... their very own monogram projected on the venue wall. Just a little something to remind them they are oh so special to me. I'm grateful to all the vendors that made all their dreams come true. xo.